Jacqueline Fernandez is the cover girl of Indian L’Officiel Magazine October 2013 edition. She subsequently featured in top-grossing films such as, Housefull 2 (2012) and Race 2 (2013) and earned appreciation for her performances. 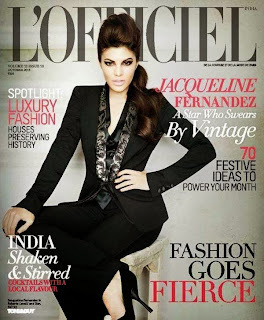 Check out her L’Officiel Magazine October 2013 PhotoShoot picture below.